High Blood Pressure is a medical problem that requires attention from a physician experienced in dealing with the unique challenges of hypertension in different patient populations. 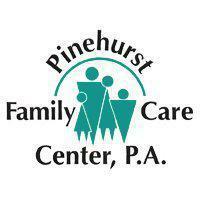 Pinehurst, North Carolina residents can count on the doctors at Pinehurst Family Care Center, P.A. for help. When Does High Blood Pressure Occur? When the blood travels through the arteries at an increased level of pressure, high blood pressure occurs. High blood pressure is classified as either primary high blood pressure or as secondary high blood pressure. Why Does Primary High Blood Pressure Happen? Primary high blood pressure, or essential hypertension, is the most common type of high blood pressure. The causes of primary high blood pressure can vary and may include multiple factors. Possible causes include excess salt consumption, inactivity, obesity, excess alcohol intake, and poor diet. Who is at Risk for Primary High Blood Pressure? While some of the factors involved in primary high blood pressure can be controlled, others cannot. People who have a family history of high blood pressure, people of African-Caribbean and South Asian ethnic origins, and older adults have a higher risk of developing primary high blood pressure. Why Does Secondary High Blood Pressure Happen? Secondary high blood pressure happens less commonly than primary high blood pressure. This type of high blood pressure is usually tied to other types of illness. For example, a person who suffers from hyperthyroidism, adrenal gland hyperfunction, or kidney disease may develop secondary high blood pressure as a result of their illness. Secondary high blood pressure can usually be eliminated once the primary illness is treated successfully. How Can High Blood Pressure Be Recognized? High blood pressure doesn't typically cause obvious symptoms. Because of this, it is especially important for people to see their doctor on a regular basis. Blood pressure is always taken at medical appointments. If the doctor notes high blood pressure readings, proactive measures can be taken to get the numbers under control again. Patients who are overweight can take measures to lose excess weight with a low fat and low salt diet. Other lifestyle changes like a cessation of alcohol consumption can also help get blood pressure back into a healthy range. For some patients, prescription medication may also help control blood pressure effectively.